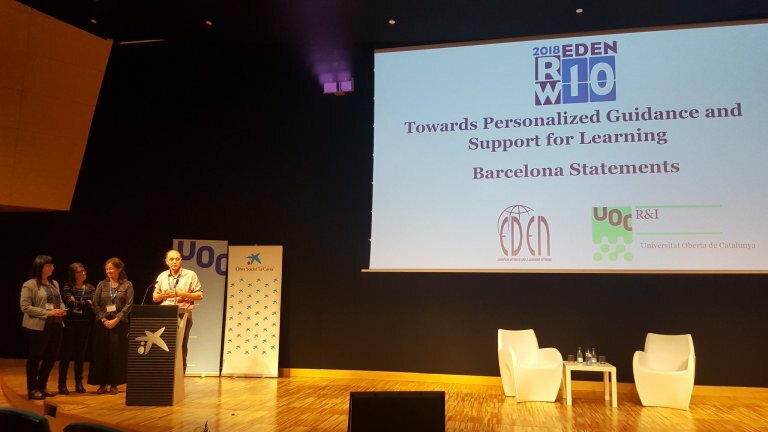 The Edul@b research group has participated actively in the EDEN Research Workshop 2018 held from 24 to 26 October in Barcelona.The congress, held every two years, has been co-organized by the Psychology and Educational Sciences Department of the Open University of Catalonia (UOC) and has focused, on this occasion, on personalized guidance and support for learning. n the frame of the workshop, the “PhD symposium” has taken place, which has constituted a space that has allowed doctoral students to discuss with experts in their field about the research they are carrying out. 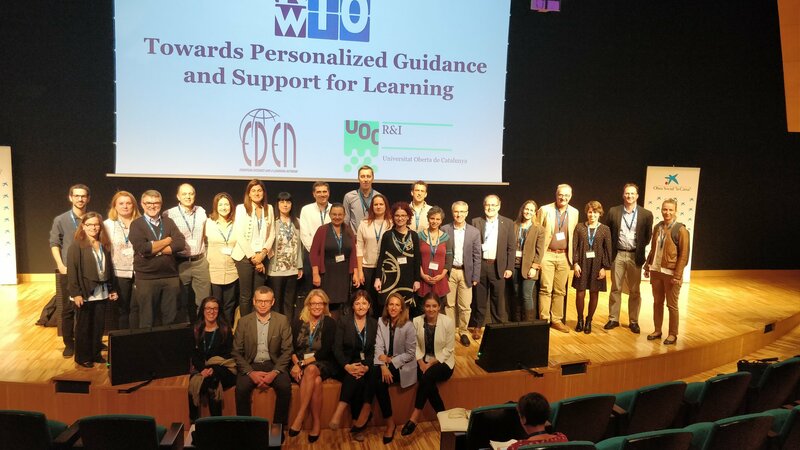 The session has been attended by ten experts and thirty doctoral students from universities in Lithuania, Ireland, Belgium, England, Italy, Switzerland, Croatia, Colombia and Spain. The sessions have been organized around three thematic axes: “Language learning, technology and MOOC”; “Online learning and formal-informal learning spectrum”; and “Technological integration and role of teachers and learners”. Mitchell Peters with the presentation “The Contribution of Digital Learning Ecologies in Online Higher Education: Student Engagement in the Continuum Between Formal and Informal Learning”. Nicole Johnson with the presentation “Capacity development through informal learning: An exploration of the digital learning ecologies of Canadian female entrepreneurs”. Deborah Arnold with the presentation “e-leadership Literacies for Technology-Enhanced Learning in Higher Education. Carles Bruguera with the presentation “The opportunities of social media for professional development: an exploration of the learning ecologies of digital communicators”. Azucena Vázquez with the presentation “Integration of digital technologies in educational centers. Three cases in Catalonia”. Dragana Kupres with the presentation “The Relationship between Leadership and Digital Maturity”. 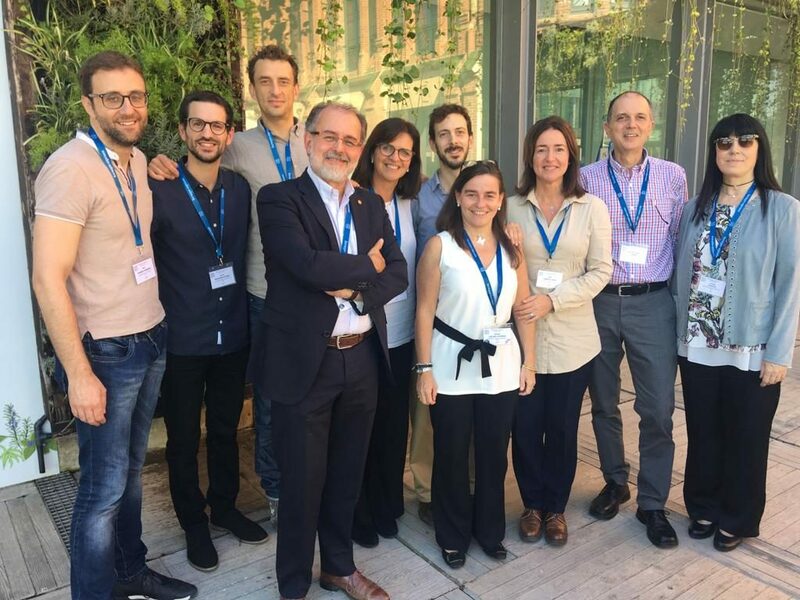 Among the forty communications presented at the congress, Edul@b has had a nomination for better papers for “Teachers’ Perceptions on Digital Technologies: Identification of Patterns and Profiles in the Catalan Context” by Montse Guitert, Teresa Romeu, Marc Romero Carbonell and Pedro Jacobetty. Developing a Framework of e-Leadership Literacies for Technology-Enhanced Learning in Higher Education: A Delphi Study. Authors: Deborah Arnold, Albert Sangrà Morer, Universitat Oberta de Catalunya, Spain. 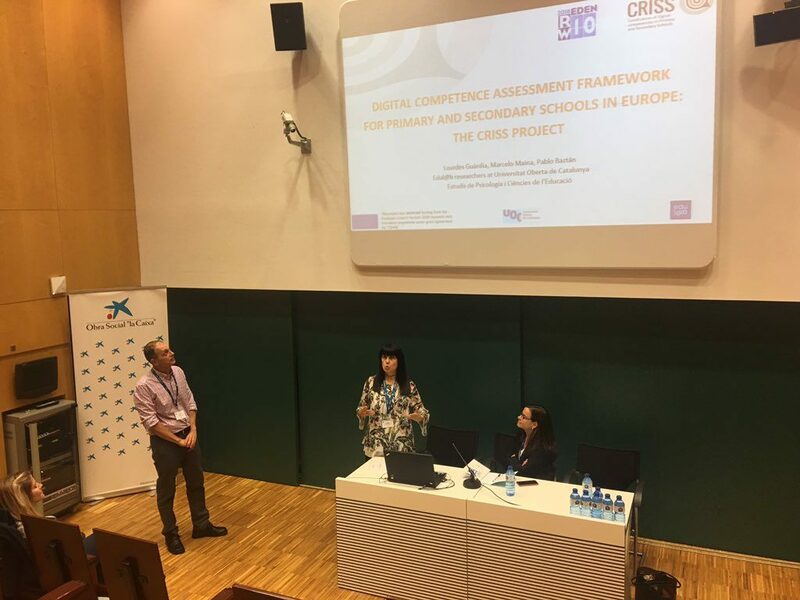 Digital Competence Assessment Framework for Primary and Secondary Schools in Europe: The CRISS Project. Authors: Lourdes Guardia, Marcelo Maina, Pablo Baztan, Universitat Oberta de Catalunya, Spain. The workshop included the round table “From data use for guidance to guidance for data use. 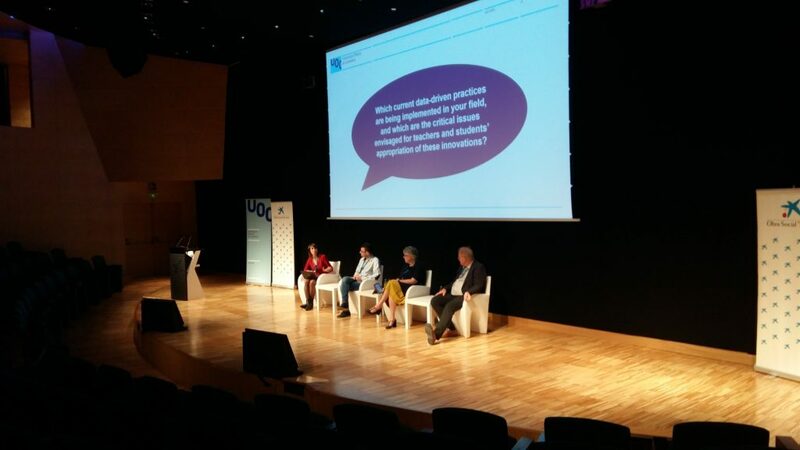 Developing data literacy to empower learners “, organized and presented by Juliana E. Raffaghelli and with the participation of Diane Butler of The Open University (United Kingdom), David Bañeres Besora (UOC), Rob Koper of the Open University (Netherlands). In the round table the potential and challenges of learning analytics in the educational field have been discussed. Topic 1. Personalized learning: accompanying students while addressing different needs, situations or learning preferences. Topic 2. Open education: optimize open learning to ensure student success. Topic 3. Roles of teachers and students: rethink teaching facilitation strategies using the potential of digital technologies. Topic 4. Evaluation for learning: strengthen the dialogue between teachers and students through comments and the implementation of ipsative approaches. You can consult the full statement in this link.